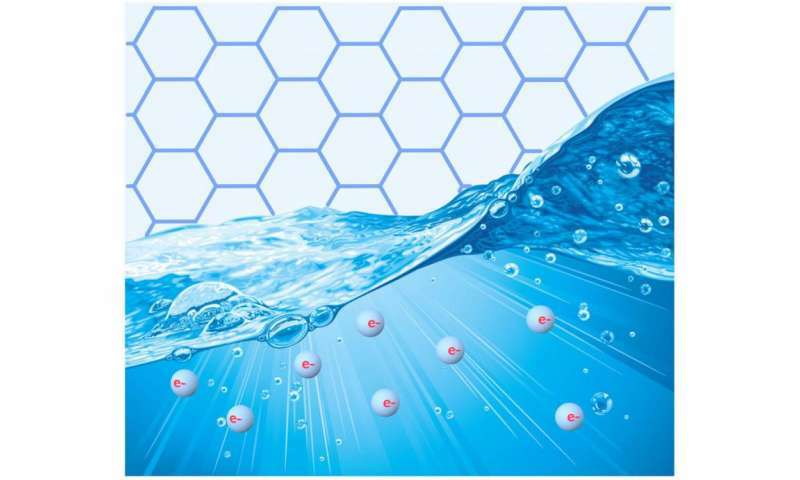 Appearing today in Nature Physics, researchers at The University of Manchester, in collaboration with theoretical physicists led by Professor Marco Polini and Professor Leonid Levitov, show that Landauer's fundamental limit can be breached in graphene. Even more fascinating is the mechanism responsible for this. Last year, a new field in solid-state physics termed 'electron hydrodynamics' generated huge scientific interest. Three different experiments, including one performed by The University of Manchester, demonstrated that at certain temperatures, electrons collide with each other so frequently they start to flow collectively like a viscous fluid. Sir Andre Geim said: "We know from school that additional disorder always creates extra electrical resistance. In our case, disorder induced by electron scattering actually reduces rather than increase resistance. This is unique and quite counterintuitive: Electrons when make up a liquid start propagating faster than if they were free, like in vacuum". Graphene is worthless so far. A lab curiosity made using scotch tape. How much can it conduct and at what temperatures, anyone know? What could this mean in real world electronics, if that is even possible? rrrander your comments have a lot in common with graphene.